My Top 10 Christmas Classics! — b. My Top 10 Christmas Classics! Top Tens and lists aren’t usually my outlet of choice, but as I’ve looked forward to sharing my own childhood traditions with Arlo, I decided to document my all time favorite Christmas movies this year! I call them classics… and while some of them truly are, I know there’s a generation out there that will roll their eyes at the late 90’s - early 2000’s additions that I included. I’ll probably be one of those moms that can’t keep up with the times, but I think there is so much obnoxious junk out there when it comes to kid’s shows nowadays! At the same time, I know that memories associated with movies, music, and books have a lot to do with how much or how little a person appreciates them. The following movies have a special place in my heart and are associated with memories of the magic and joy and excitement and coziness of Christmas. *I couldn’t decide how to rate them, so they’'re listed by release date. This one, although a top favorite now, was a slow burn for me. It’s a long movie, and is a lot for a kid to follow. Nevertheless, my family watched it every year. And every year I fell asleep halfway through. I don’t know when I finally made it all the way to the end, but I love this movie. It was actually the first Christmas movie we watched this year too! I don’t know what it is about these stop- motion movies, but they hold so much magic for me! Is there really a way to describe the physical feeling of nostalgia? Usually one of our five senses brings on the feeling, of being in another time and place. No Rudolph story since has ever come close to this version! Computer animation, go away! The story of Jesus, told from the perspective of a little drummer boy in search of family and a home. Another stop-motion classic, this movie always gave me a feeling of awe and wonder. The story of Jesus’ birth can often feel like just that — a story. But sometimes if we can consider the perspective of other people during that same Christmas, the original Christmas, it helps us to remember that it’s not just a story! It’s real! After all, Jesus is the reason for the season! I never include sequels in my favorite anything! Because sequels typically just take something that is great and make it mediocre. (Ha!) But Frosty the Snowman and Frosty Returns are a couple of my all-time favorites! Fun Fact: In my family, Christmas season didn’t start until after Thanksgiving. No decorating, no Christmas music or movies, nothing! It was our tradition to watch our first Christmas movie on Thanksgiving night! The story of “how” and “why” Kris Kringle came to be! All of your questions answered! From the red suit to the flying reindeer. I love the warlock and remembering how scary he seemed as a kid. Now I think its funny how quickly he moves from a bad guy to a good guy. Fun Fact: Every year I put out cookies and milk for Santa, along with some carrots for the reindeer. I never wrote to Santa ahead of time, but always left him a note on Christmas Eve. One year, he wrote me back! I did not like this movie as a kid. I thought it was super boring and that the little girl was annoying and that Sam Elliott was a meanie. He was, but turns out he had some issues. Spoiler alert: he worked it out. This whole scenario is pretty much my worst nightmare in real life. Or was, I guess. Being forgotten and all alone in a giant house that creepy men are trying to get into. But it sure does make for a fun Christmas movie! Especially the classic bad-guy coming to the rescue bit! Fun Fact: One year, my whole extended family on my mom’s side went to Mammoth, CA for Christmas. Me and my cousins camped out in the living room on Christmas Eve and I swear, (I SWEAR!) I heard bells on the roof! I love Winnie The Pooh! Christopher Robin and Pooh write a letter to Santa, but Pooh forgets to include what he wants for Christmas! Oh Bother! So he and Piglet set out to find the letter before it gets too far. 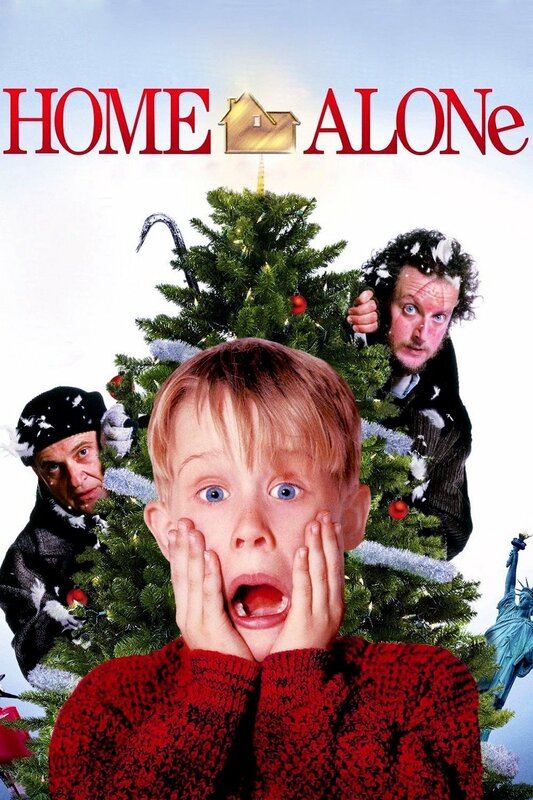 Out of all of my Christmas favorites, this one is the hardest for me to find online to watch. Good thing I still have the VHS recorded version from my birth year to watch! Tim Allen is my favorite. And my best friend Brittany used to look JUST like Charlie when she was little. Had the haircut and everything! From start to finish, this movie always puts me in a Christmassy mood. Fun Fact: One year when my whole family was gathered at my grandparents house for Christmas, each set of grandkid siblings got a teepee tent! It was the most fun. We all camped out in the living room in our teepees for weeks! Best gift. Highly recommend. Anyone else have a crush on JTT when they were a kid? Anyone else feel that they can’t take Jessica Biel seriously, ever, because of her role on 7th Heaven? I’ve actually never seen this one. Why is it on my honorable mentions list then, you may ask! We had this VHS, you see. And this VHS contained movies recorded from the TV. Old school. On this VHS, we had Rudolph The Red-Nose Reindeer, Frosty the Snowman, Winnie The Pooh and Christmas Too, and 4 or 5 minutes of this movie, “The Wish That Changed Christmas.” But the VHS ran out of space and the middle and end of the movie weren’t captured. Torture! Not sure why its only just now occurring to me that I can watch it! BRB! I think this was a favorite during some of the harder years for my family. So. As much as I love it, it has a little bit of that sad nostalgia-feel to it. Won’t stop me from watching it though. Even a movie can be redeemed! Again, I have lots of love for Tim Allen. And Jamie Lee Curtis is so ridiculous and awesome in this movie! That bikini bod! Those sweaters!